Samsung is a brand name in the manufacturing of android based Smartphones. Since the time Samsung has entered in the field of manufacturing mobile phones, they have been continuously experimenting to bring out new innovations in the world of mobile phones. It is due to these experiments only that Samsung has attained such a respectful position in the market. They have manufactured a wide range of android based mobile phones. In fact, every year Samsung comes out with 2 to 3 new innovative models of Smartphones. One of the recently launched Samsung Smartphone of 2014is Samsung galaxy Alpha for which people has been anxiously waiting. The all new model of Samsung came into the consideration of various mobile users because of its metallic finish body. This is something unique and different about this Smartphone of Samsung as compared to others. Apart from this feature, it is generally a revised version of Samsung galaxy S5. The stunning design of this phone of Samsung becomes the highlighting and attractive feature of this Smartphone. There are various other hi-tech features also available in this Smartphone which have created the worth of the phone among the users. · Outstanding Design: One of the most significant features of this amazing Smartphone of Samsung is its exceptional and extra ordinary layout and design. The feature that distinguishes this model of Samsung with other models is its high quality metal frame. Samsung has already been criticised about similar looks of its mobile phones. Thus for a change, they have introduced metallic frames for premium quality look. Super sleek body: Another interesting feature of this Smartphone is its tremendously sleek body which has given a handy look to this phone. The slim thickness of just 6.7mm provides an outstanding grip to the user of this phone. Purchasing this phone will prove to be a wise decision because style and innovative technology, both are caught in one single hand. High definition Screen: In terms of screen of this Samsung Smartphone, it is usual like other models of Samsung. No such advancements have been made in the screen of this Smartphone. This phone contains significant AMOLED screen of 4.7 inches having a resolution of 720 X 1280. · High power efficiency: Most of the Android Smartphones bear the problem of less battery life while this Smartphone of Samsung contains Ultra mode of power saving which helps the users to efficiently and effectively use the battery life of the phone. This power saving mode also helps in reducing the consumption of battery by unnecessary functions. · Ensure privacy: The private mode of this phone helps the users to keep all their important information safe and secure by providing high quality privacy protection. Apart from all this, the camera quality and the processor of this phone are also up o the mark. 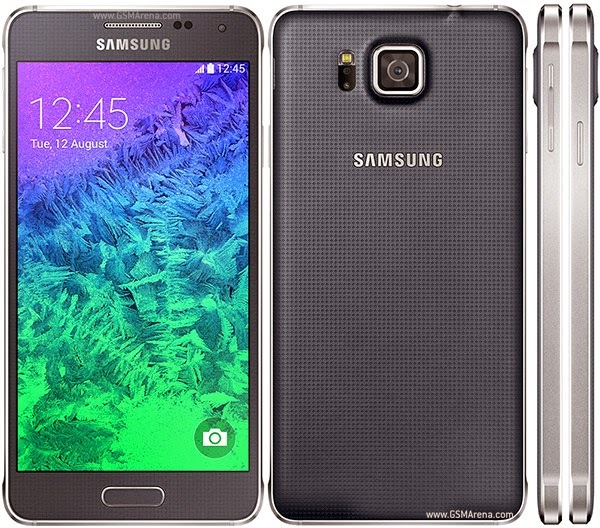 Thus purchasing this model of Samsung galaxy Alpha will not prove to be a foolish decision.